Yes, it works without bios flash. I just sent you a PM with a link for the app. currently my x230 is disassembled so will check app a bit later. by default win10 offers screen mirroring with 1024*768.
brightest adjustment does not work at all. tried f8-f9, Fn + f8-f9, short pressing power button, win10 bright adjustment app from tray. have I missed smth? should I recheck my soldering or it is expected behavior unless bios is patched? should it be oissible to have brightest adjustable without app and/or bios modding? You can disable the old screen, no mirroring needed for this board. If short press on power button doesn't cycle brightness there might be a issue with the solders, I'll take a picture when I get back home. The app will add another icon in the tray. yep, I tried to leave new screen only (second) in windows - no brightness changes thought. looks like i need resolder some key points on PCB. checked with the one - no brightness adjustment without app. rechecked mod soldering - nothing suspicious. with app hovewer, adjustment works properly - does it mean there are no issues with soldering? now realized that I do not have a dremel to proceed with lid modification. wanna save camera, stock wlan and wwan antennas. what else I need..., dremel, epoxy to glue top lid and maybe some thick tape or rubber pads for LCD alignment ? The soldering of the board is tricky. If the app works but not the button it must be a bad soldering - one of the solderings is taking the signal from a pin normally used for dock power button, probably just being connected in parallel to the laptop power button. That's the way the board gets the signal from the power button. See: http://plan9.stanleylieber.com/hardware ... matics.pdf page 59, pin number 100 (I suppose). Ok, I'll recheck soldering in circle #3. 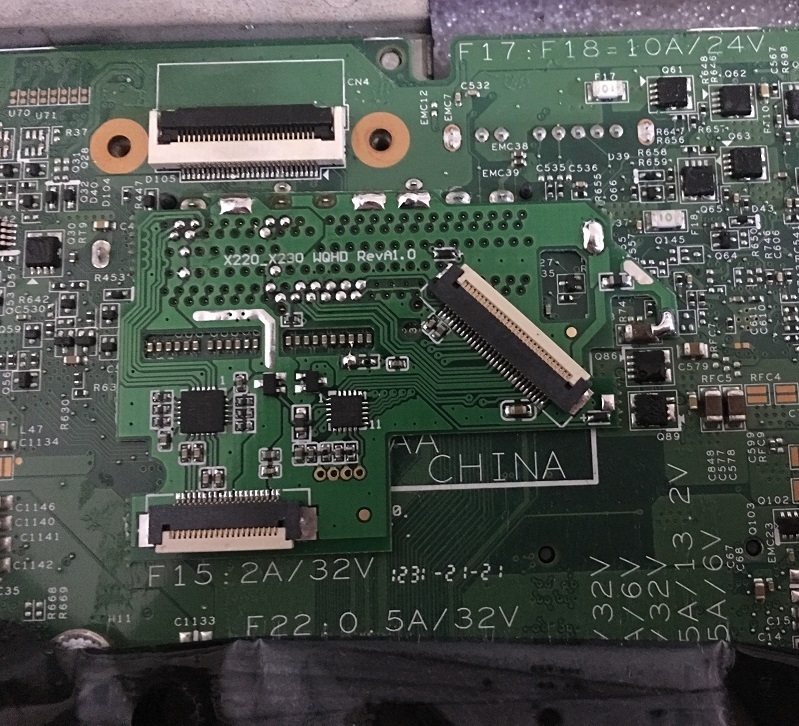 Btw I'd decided not to use extra msata pcb (crossed red circle) for now. it should not be the reason, right (easy to check though)? ejected wwan antennas and wires (can be installed back though). just realized that i'll rarely (if ever) use wwan . would not bother members with intermediate photos. LCD is not even glued. put a few pieces of 1.5mm thick nonglue tape but seems stock side clips are just enough. will see further. todo: flash modified bios with lvds cut. thx for your help and suggestions. Just put 4 small dots of silicone sealer on 4 corners on the non adhesive tape. This allows to adjust the panel to the front frame, when the sealer hards it prevents the panel from moving and as these are only 4 small dots it can be removed without destruction (as happens if people put it on the dual side adhesive foam tape). Other than an FHD LCD+cable, lid- and bezel-mod, what else is needed for X240? Question about x240 whitelist (and so compatible LCD) is still open. P.S. After reading https://thinkpad-forum.de/threads/20957 ... light=x340 I still not understand why lid and bezel were glued. Looks like there is no extra space to place cables under the LCD. 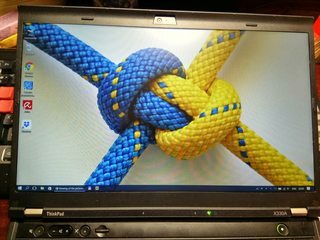 Nope, the X240 has different HD- and FHD-cables for their displays. If you are lucky though, the X240 might already come with an FHD-cable. I know, I have taken both X240 and X240s completely apart, with both standard and touch-versions. And unfortunately the X240 does have an LCD-whitelist in BIOS. However, this is only "important" if you use Windows and want to adjust the screen-brightness (does not work on unlisted LCDs). Under Linux everything works out of the box. Don't know about the gluing, the original 12.5" LCD is 2.85mm thick and the new 13.3" is 2.4mm, minimal difference. The lid is VERY thin though. Yep, now I remember smth about different HD- and FHD-cables. I've googled a bit previously and there is definitely LCD whitelist for x250, it is sad they have the same for x240 .Have also read your thread about EDID findings. Hope mine came with fhd cable so Ill be able to check briefly. Here dude managed to mod x240 without gluing. any idea where the WQHD+mSATA+USB3.0 kit can be bought? Hmm, I think I have a problem, not sure yet tho. So I bought a nitrocaster kit, and received it after a looong wait. At the same time, I got a cut-out bezel and the 13.3'' B133HAN04.6. Actually I haven't even opened the package with the screen, but looking through the photos, it seems that the B133HAN04.6 has its connector shifted to the "wrong" side, right? Isn't it closer to the right-hand-side hinge? I think Nitrocaster's cable won't reach there:( Do I have a chance of buying a proper cable? Shame, I thought I was already able to do the soldering. I didn't find alternative longer cables, but you could get a couple of those extensions, that's what I used with my W11 panel. The LCD-cables 00HM134 (X240, X250) and 00HM135 (X250) will work for a regular 12.5" FHD in X220/X230. If they are long enough for a 13.3? No idea. Those are the same as the one shipped by nitrocaster, won't be long enough. Great! I bought three straightaway. Well, another wait now, but at least I still can pull it off hopefully. Hey. I got some of those for one of my projects when you mentioned it in another thread. For the most part, they work fine but I get occasional interference for a sec and it then goes away. Ever come across this with yours? I got some 1/4s backlight drops once in a while on the bus with one of taobao's mods. I never had any issue with nitro's boards + extenders. Anyone knows where to get this cable for the WQHD kit? it was not included in my kit. Are 00HM135 and 00HM134 only for FHD or will they work with the WQHD kit? EDIT: sorry about the image size. can the forum create preview images somehow? 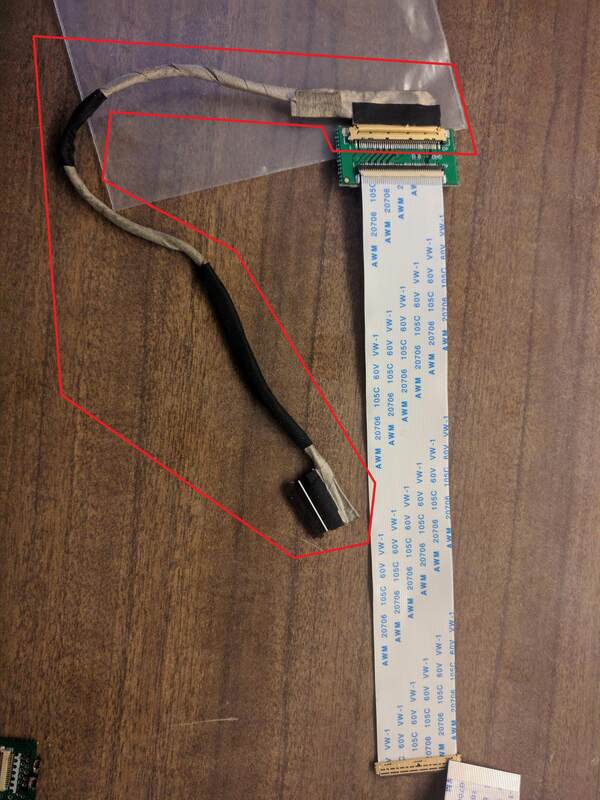 It's the stock cable that was in the laptop for LVDS. Hey. Sorry, I'm just seeing this now. I get a flicker every now and then, and the image looks scrambled. It only lasts a sec and goes away. I've been meaning to monitor it and see if it coincides with the fan engaging or other power draws. I'm using Nitrocasters board too. I'm interested in the 1440p mod, or so called 2k on my x220 i7 2640m. I was wondering which one came with the 12.5" screen, what latest/best revision to get? if mirrored can be turned off now? And where can I buy one from? edit: also if there are any drawbacks or problems? This one is 1440p. I used superbuy for the transaction, pretty helpful staff when I needed to contact the seller. You can source the panel yourself, but I'll leave it to others for specific models, I didn't use those (I hate scaling) and I'm too lazy to search. That board will work with USB for backlight, requiring an app in Windows or my wrapper in Linux. No mirroring needed. I'd suggest getting a x230 mobo to upgrade at the same time. Fits perfectly, aside from the awkward DP hole. The bump in graphic performance (+~40%) is quite noticeable and kinda needed to fully enjoy those higher resolutions (my experience, using a 34" 3440x1440). That would also allow for the bios patch to remove LVDS, while allowing 2 external screens + internal. Ok, it will also require you flash the EC for the keyboard and battery but that's quite easy. 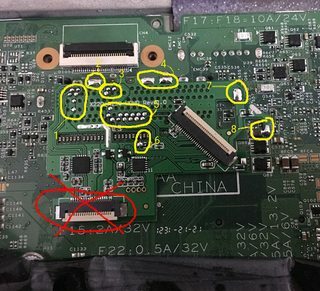 Just curious: if you swap the x220 motherboard for a x230 one what happens with the indicator leds under the screen ? x220 has 3 of them: bluetooth (if I remember correctly), wifi/wwan and hdd while x230 has only the last two.